Papa Roach wage war every time they pick up their instruments.It's a war for musical integrity. It's a war for their fans. It's a war for rock 'n' roll. 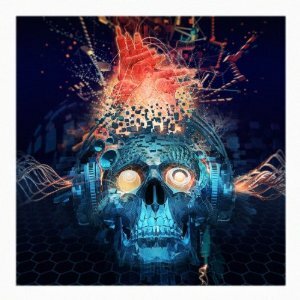 The California quartet's latest release, Time for Annihilation…On The Record and On The Road captures that war on stage and in the studio, showcasing nine live renditions of Papa Roach classics and five newly recorded tracks. From blistering live versions of "Last Resort" and "Scars" to the syncopated stomp of new single "Kick in the Teeth" and "Burn," this is the ultimate Papa Roach experience, placing listeners right up against the barricade ready to be blown away. Due out August 31 via Eleven Seven Music, Time for Annihilation…On The Record and On The Road signals the next chapter in the Papa Roach saga.Time for Annihilation…On The Record and On The Road gives listeners two sides of the Papa Roach experience—the uncontainable live explosion and the unforgettable studio charm. About this unique collection, frontman Jacoby Shaddix comments, "This is a look back at our career through the live songs, and it's also a statement that we're here to stay. For us, Time for Annihilation…On The Record and On The Road is the perfect connection between the road and the studio. In addition to capturing our show, we crafted new material that takes fans on a ride."